THE Triumph Triple Challenge (TCC) will compete entirely within the British Superbikes (BSB) series this year. 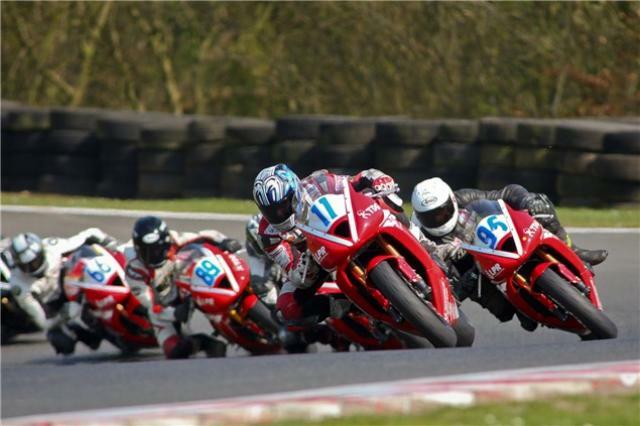 Backed by the Triumph factory and run in close co-operation with Motorsport Vision Racing (MSVR), the Triple Challenge commences at Brands Hatch (April 22-25) and takes in nine events over the next five months, closing at the same venue on October 7-9. The registration fee for the Triple Challenge series is £14,300 + VAT, which includes a race-prepared Triumph Daytona 675, entry fees for all nine races, tyres, support on suspension set-up and assistance from a race engineer, two races per weekend supporting nine rounds, media coverage and the benefits of the Triple Challenge Academy. All riders in the championship will be housed in the new Triumph Village – where riders will prepare their bikes, undertake maintenance and benefit from the hospitality facilities, each race weekend.